Welcome to the 12 Days of Christmas Romance books! You might remember I do this every year on Facebook, but since no one is on Facebook anymore (LOL) I've decided to use my blog instead. There will be a mix of books, cookie recipes, and maybe even a holiday craft in the next 12 days! I hope you enjoy the books I've read over the last month or so, and I've tried to keep most of them free or under $2.99. Merry Christmas! 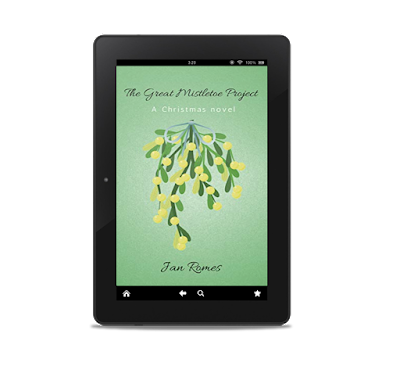 Today's 12 Days of Christmas is The Great Mistletoe Project by Jan Romes! You all know I'm big Jan Romes fan, and this story didn't disappoint! Julie Dwyer's boss, Walter, doled out a secret assignment and also put her on a Christmas committee known as The Great Mistletoe Project. Both undertakings took her out of her comfort zone. Both would change her life forever. Garrett Turner's wife, along with his personal assistant, walked out. A multi-millionaire, the news media wanted every juicy detail of the divorce, which turned him into a recluse. In isolation, Garrett conducted business and tried to fix the deliberate mess left behind by his assistant. It got to be too much. His close friend, Walter Tennyson, suggested temporary help and sent Julie. Julie was a hard worker, normally reserved. Something in Garrett caused a different side of her to emerge. Instead of holding back, she teased and sassed him. Originally from the farm, Garrett left that world and entered real estate. He made millions, yet felt a void. Julie helped him figure out what was missing. They clashed. They laughed. They did great business together. Feelings neither one counted on, happened. And then, things fell apart thanks to the mistletoe project and Garrett's ex. Can Julie and Garrett survive the chaos? If you're looking for a sweet Christmas read, look no further! Jan has released another winner for the holidays! When the boss needs a favor, Julie is more than willing to help, even if it means working for the one person she would never expect to meet in her lifetime. Little does she know how that first meeting is going to change her life. If you love a Christmas story with a couple who needs a little push in the right direction, then you'll want to curl up with The Great Mistletoe Project. Once you start you can't stop until the last page is turned! I give The Great Mistletoe Project 5 cups of hot and sweet apple cider! Jan Romes grew up in northwest Ohio with eight zany siblings. Married to her high school sweetheart for more years than seems possible, she's also a proud mom, mother-in-law, and grandma. 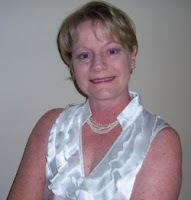 Jan writes contemporary romance and women's fiction with sharp, witty characters who give as good as they get. The more she writes the more risks she's willing to take with her characters. When she's not writing, you can find Jan with her nose buried in a book or engaged in some sort of activity to stay fit. She loves spending time with family and friends. A hopeless romantic, she enjoys sunsets, sappy movies, and sitting around a campfire. Though she doesn't claim to have a green thumb, she takes pride in growing all kinds of flowers and plants. Jan's passionate about everything that involves the written word. She loves to connect with readers. You can find her on Twitter, Facebook, at writer's conferences and book signings. If you love books as much as she does, she'd love to hear from you.